A few days ago I received a surprise gift from my brother: Copies of A Brief Account of the Indians of Delaware by C. A. Weslager, and History of Lewes, Delaware, and Vicinity by Virginia Cullen, which he stumbled upon in an upstate antique shop. The former is a 31-page pamphlet published for younger readers in 1953, but this is no vague, babyish text about wigwams. 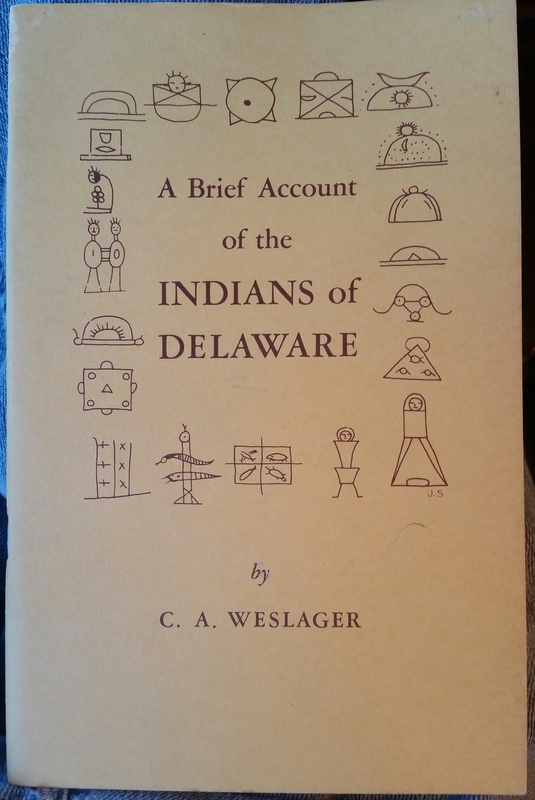 Even two decades after his death, Weslager remains the authority on the original Delawareans, and this early work not only paints a picture of their daily lives, but includes specifics about different tribes, including the locations of some of their villages. 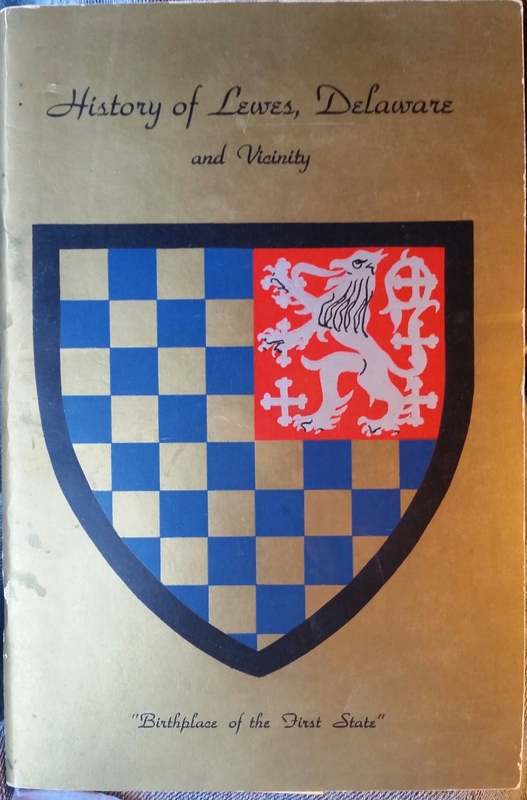 The book about Lewes is a bit longer, 78 pages, and was published by the Daughters of the American Revolution in 1956. The format reminds me of another local history book, Folklore of Sussex County, Delaware by Dorothy Pepper, with sections of a few paragraphs or less featuring a particular era, individual, landmark, etc. The book includes local folklore, and concludes with a guided tour of the community with information about numerous historic buildings. Both are the sorts of books that one typically finds in noncirculating collections in local libraries. Many of Weslager’s books, in particular, can be very difficult to find, and are treasured by collectors. While I’m at it, I’d like to give a brief shout-out to Mitsawokett, probably the best online source of information about Native Americans in Delaware from prehistoric times through the present. The site features information ranging from casual speculation to authoritative primary sources, and links to numerous other sites of interest. Someone recently added a couple of my articles about the Nanticoke Indians, causing Mitsawokett to become the top referrer of visitors to this blog (discounting search engines and social media), which I greatly appreciate.